You’re looking at a rabbit’s heart beating outside the animal that once hosted it. 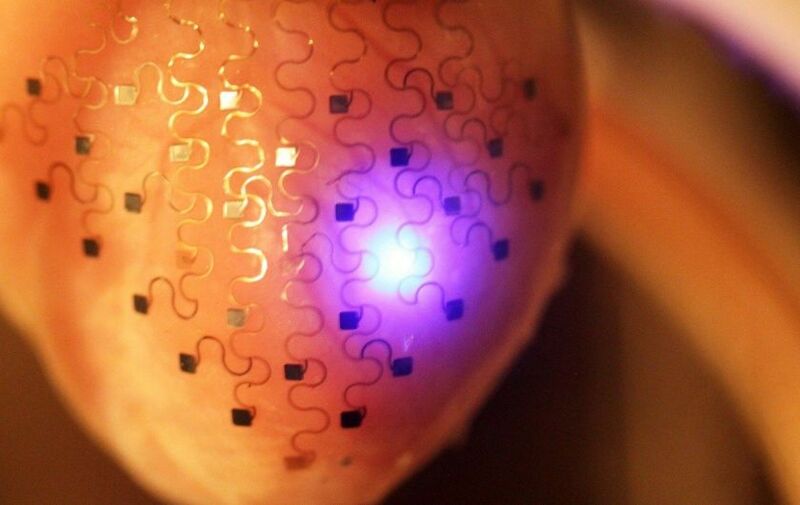 It’s alive, pumping blood on its own thanks to a revolutionary electronic membrane that may save your life by keeping your heart beating at a perfect rate. They custom made it to precisely fit the shape of the rabbit’s heart: First, while the rabbit was still alive, they scanned it and created a 3D model using computer aided tomography. They manufactured the model in a 3D printer, which they used as a mold to create the membrane. After that they took the heart out, applied the membrane, and kept it beating at a perfect pace.